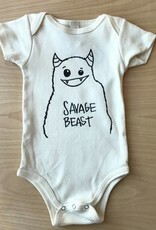 Size: * 3-6 mos. 6-12 mos. 12-18 mos. 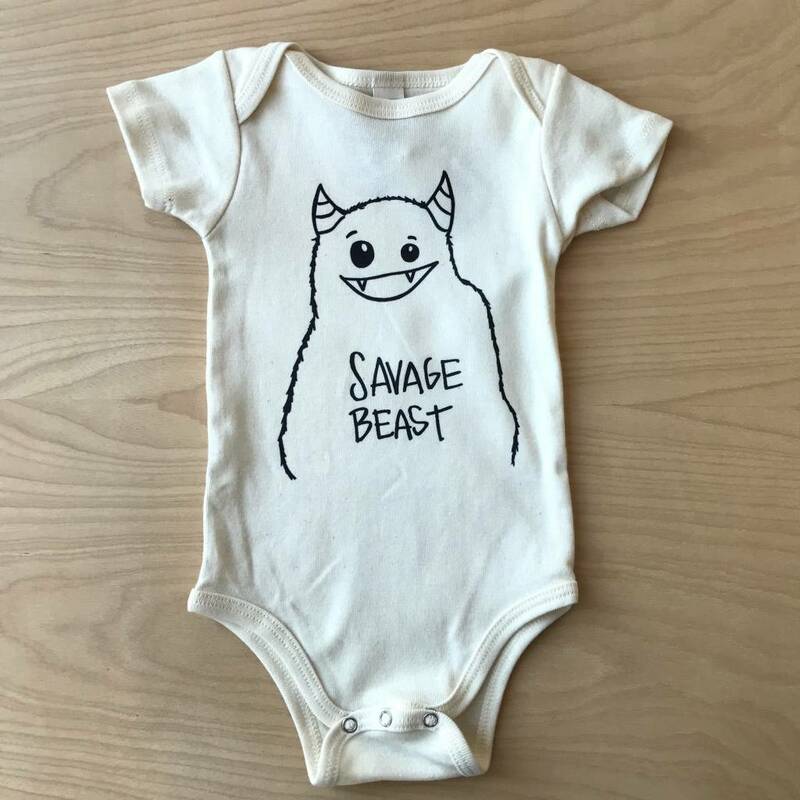 Cute beast printed on a natural onesie.